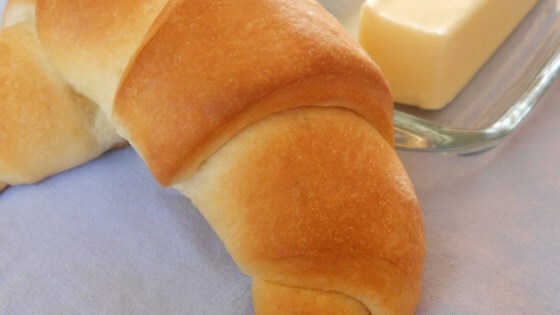 "To DIE for, buttery crescent rolls that divide up the work between two days. This yeast-raised dough may be kept in the refrigerator, and used over a period of 2 weeks! So you can make them fresh when you like." I made these with my 7 yr. old grandchild. They were easy to do and she was able to do a lot. It made 32 large rolls.